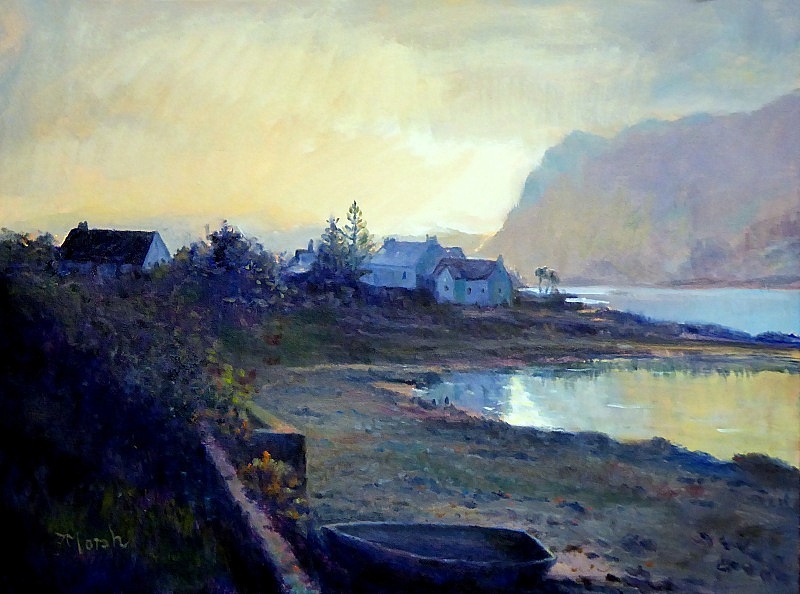 Staying at the pub in Plockton, we rose early one morning in summer and were presented with the most sensational morning light. Plockton is one of the most picturesque villages in Scotland. It is situated on the west coast of Scotland on the sea loch Loch Carron. It is near the where the bridge brings you to the mainland from the Isle of Skye & provided the location for the filming of the television series Hamish Macbeth starring Robert Carlyle.